(1992) "I'm the Only One"
(1993) "Come to My Window"
"I'm the Only One" is a Melissa Etheridge song that appears on her 1993 album Yes I Am. The single itself was released in 1993, and hit number eight on the Billboard Hot 100 and number one on the Adult Contemporary charts in January 1995. This is one of her biggest hits to date. Like many songs on her first album, Melissa Etheridge, "I'm the Only One" deals with non-monogamous relationships. In the verses, the singer tells how much she suffers because her partner desires someone else. In the chorus, the singer reminds her partner that even if her partner is in a new relationship, that the singer will always be the only one who really loves them with passion. The music video for "I'm the Only One" was directed by David Hogan, marking their first collaboration on a video. Hogan, who became friends with Etheridge, later helmed several other of her videos, including "Your Little Secret" in 1995 and "I Want to Be in Love" in 2001. The song has been covered many times on American Idol. In the Top 4 of season one, it was covered by Nikki McKibbin on 80's/90's week. In the Top 10 of season four, the song was covered by Nadia Turner on 90's week. In the Top 16 of season five, Kellie Pickler covered it, before advancing to the Top 12. In season ten, Lauren Alaina coved the song on Top 12 week, the contestants were to choose one song from the year they were born. On the first season of The Voice, Beverly McClellan covered the song on the 7th episode, the first week of live rounds. In November 2011, Mark Salling covered the song in Glee's episode "I Kissed a Girl"
All songs written by Melissa Etheridge. ^ a b Lindsay, Bethany (2015-07-27). "Interview: Music Video Director David Hogan". Songfacts.com. Retrieved 2016-04-16. ^ Luck, Joyce (1997). "Melissa Etheridge: Our Little Secret (page 194)". ECW Press (Google Books). Retrieved 2016-04-16. 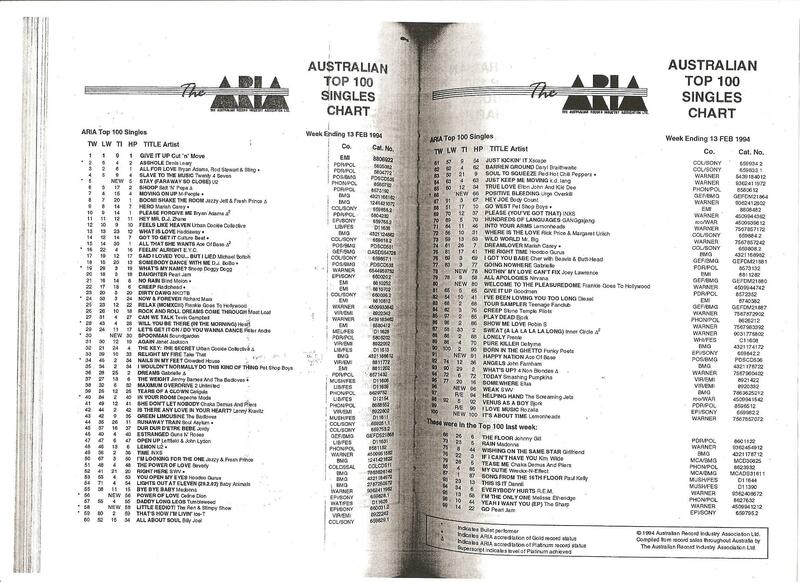 ^ "The ARIA Australian Top 100 Singles Chart – Week Ending 13 Feb 1994". ARIA. Retrieved 2016-02-23. ^ "Image : RPM Search - Library and Archives Canada". Retrieved 10 March 2018. ^ "dutchcharts.nl > Melissa Etheridge – I'm the Only One". Hung Medien. Retrieved 2016-02-23. ^ "RPM 100 Hit Tracks of 1993". RPM. Retrieved November 23, 2017. ^ "Billboard Top 100 – 1994". Archived from the original on 2009-03-01. Retrieved 2010-08-27. "I Want to Come Over"
"Cry Baby"/"Piece of My Heart"
This page was last edited on 16 January 2019, at 22:28 (UTC).